As the the days inch closer to the official start of summer, I am beginning to plan family get~togethers, picnics and beach trips. It gets a little boring serving water, tea & juice all of the time, since we don’t do soda, so I was pleased to come across this beautiful and oh so tasty drink, from the book, “Vegan Soul Kitchen”. I have a feeling that this will be a hit with my friends & family! In a small saucepan, combine 2 cups of the water and the lavender. Bring to a boil, covered, for 10 minutes. Remove from heat and let steep for 10 minutes, then uncover and set aside to cool. 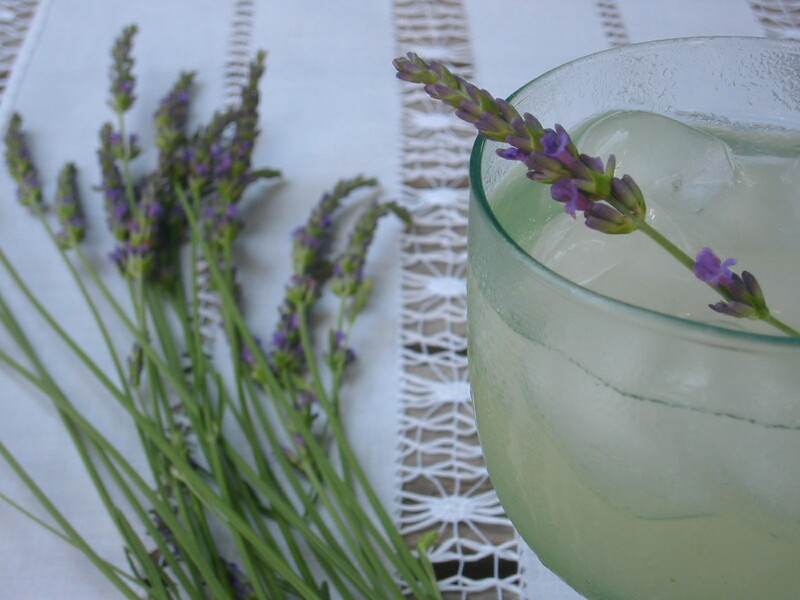 Strain the lavender water into a serving pitcher and discard the cooked lavender. Add the rest of the water, Agave nectar and lemon juice and stir well. Add the lavender sprigs and lemon slices and refrigerate until cool. I just threw 3 beets, a banana, an apple, a cucumber and some water into my VitaMix and BAM, I have an unbelievably healthy and delicious lunch!